This week we have received communication from several concerned readers who saw a viral social media post warning of a recall due to a listeria outbreak related to frozen vegetables from Aldi. There are two things that you should know. There was a recall of frozen vegetables from Aldi as well as from Lidl, Iceland, Sainsbury’s, Tesco, and Waitrose, but it happened back during the summer of 2018. In other words, this is old news. The recall only affected grocery stores in Austria, Denmark, Finland, Sweden, and the United Kingdom. The recall also affected Woolworths, Aldi, and IGA stores in Australia because some of those frozen vegetables came from the United Kingdom. Frozen vegetables purchased at grocery stores in the United States should be safe. 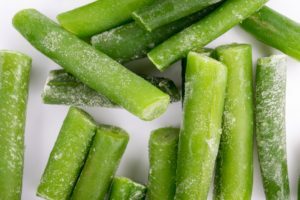 One of the articles that has gone viral as people share the “news” about this recall is from the site PoliceHour.co.uk, which features the headline Urgent National Frozen Veg Recall after nine dead. This headline is misleading and alarmist, according to another website, thatsnonsense.com. That’s because the nine dead refers to the total number of people who have died from a Listeria monocytogenes infection in Europe during the past three years and not to the number of people who died after eating recalled frozen vegetables from Aldi. Further, Greenyard Frozen UK supplied the frozen vegetables to stores in the U.K, but it does not sell to stores in North America. We always recommend checking the date and location, and/or doing further research online, before passing along a viral story. Even if you think the person who shared the viral post is trustworthy (your Great-Aunt Edith, for instance), you can’t be sure that person did his or her own fact checking before passing it on. If you are not sure whether a recall you’ve seen on social media is current and legitimate, Aldi U.S. lists recalls of products specific to its stores at this link on its own website. In addition, you can check the FDA’s website for a list of recalls gathered from press releases and other public notices.